Every Monday, I will be featuring a different vendor (usually photography-related) on my blog! I’ll share a little bit about the business itself and the products/service it offers. And this is the sweet part…..each of these businesses have shown huge generosity by either giving away a product, offering a discount on their services, or BOTH! 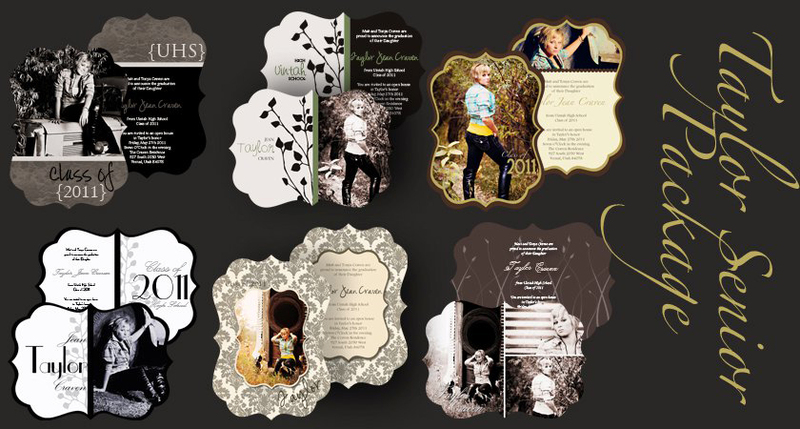 Are you a photographer looking for unique card templates to offer your clients? Are you a bride who wants a wedding invitation that doesn’t look like all of the rest? Are you a business owner in need of new branding? Check out Atti’s Attic Card Shop! She offers *custom-made* cards and announcements for any occasion, logo design, business card design, letter head design, photography pricing guide books, and more!! And here is one of her latest Senior Card Template Packages!! Aren’t they gorgeous!?!? Atti’s Attic Card Shop is offering to waive the design fee to the first 3 people who place a custom order and mention this blog post! That’s a $25.00 – 50.00 value! !